Improve Your Readings & Get More Clients! In Kennebunkport, Maine, I taught more than 120 advanced psychics and mediums the simple steps necessary to raise their standards to a higher level. And I taught them how to give readings that are absolutely extraordinary. At the same time, since no psychic medium can help people unless the public knows they exist, I also taught them how to promote themselves using the most effective yet simple techniques available in order to attract more clients and prosperity into their lives. This live training workshop was an enormous success and all the psychics and mediums walked away from it as better psychics, mediums and marketers, which is why I'm so glad that I had it professionally recorded. Now, thanks to these recordings, anyone can listen to this workshop right on their computer or MP3 player. In fact, this recording is available now as an instant MP3 download, so you can be listening to it just minutes from now. 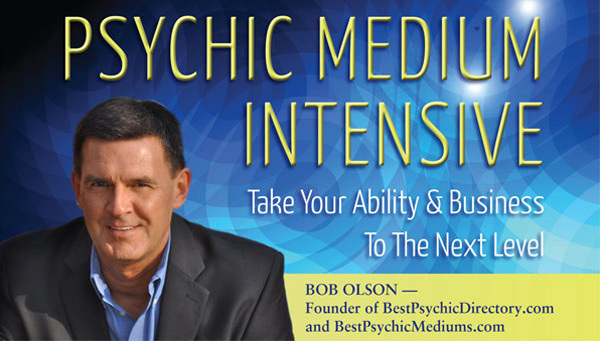 This workshop was given to advanced psychics and mediums, so even the most experienced psychics and mediums will learn an enormous amount of new information from it. But you don't have to be an advanced psychic or medium to benefit. It turned out that some beginners signed up for the event without my knowing, yet they later told me that they gained a life-changing amount of information from what I taught them. Many also said that they began implementing what they learned the very week they returned from the workshop with amazing success. So whether you’re highly experienced or just beginning, as long as you know how to give a reading, this program will teach you how to transform your readings to levels you might never have believed were possible. 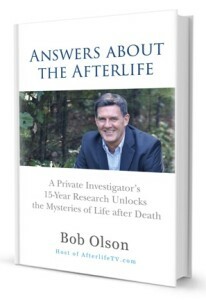 Taught By Bob Olson, host of AfterlifeTV.com, founder of BestPsychicMediums.com & BestPsychicDirectory.com, and author of Answers About The Afterlife and The Magic Mala.